Ken Buck is just a simple man, trying to live a simple social media existence. As stated in his Twitter bio, Buck's interests include photography, football, food and family. Not included in that list are politics — especially not Colorado politics — yet the south Charlotte resident can't seem to escape them. 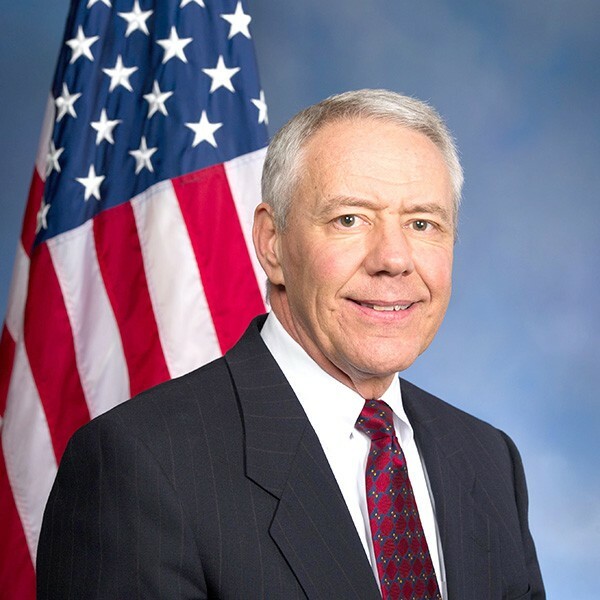 See, Buck has the unfortunate luck of sharing his name with a politician: U.S. Rep. Ken Buck, R-CO. And in this age of political vitriol and social media networks that allow folks to spew that vitriol at will, the wrong Buck has gained some unwanted attention. See, Buck got into Twitter at the beginning, allowing him to land the @KenBuck handle that has confused followers of Colorado politics since Rep. Buck's first unsuccessful Senate campaign in 2010. A recent look at Charlottean Buck's timeline found him sparring sarcastically with folks on both sides of the aisle; folks wanting him to investigate leaks in the Trump administration, or vote against Trumpcare and not be a #GOPSheep, or to promise that the Bundy bunch will receive a fair trial. Non-politician Ken Buck of south Charlotte. His responses? That he usually uses Depends to resolve leaks; that he's no sheep, but does enjoy a plate of grilled lamb; and that he's simply not interested in any Bundy trial. The desperate Bundy troll couldn't take no for an answer on the latter one, and continued to plead with Buck to raise awareness for the ranchers in his home state even after realizing he was far from a Colorado representative. And such is the social media life led by Buck, who has taken the whole thing in stride and continues to playfully prod at the Midwestern meddlers. He says most people have fun with him right back, however, every once in a while there's that person who just doesn't understand that this man is not a politician — Bette Midler, for example (yes, you read that right). We recently chatted with Buck about what being "the other Ken Buck" has taught him about politics. Creative Loafing: When did you first hear of this Colorodoan Ken Buck? Ken Buck: He ran for Senate in Colorado [in 2010], and that's the first time I heard about it. 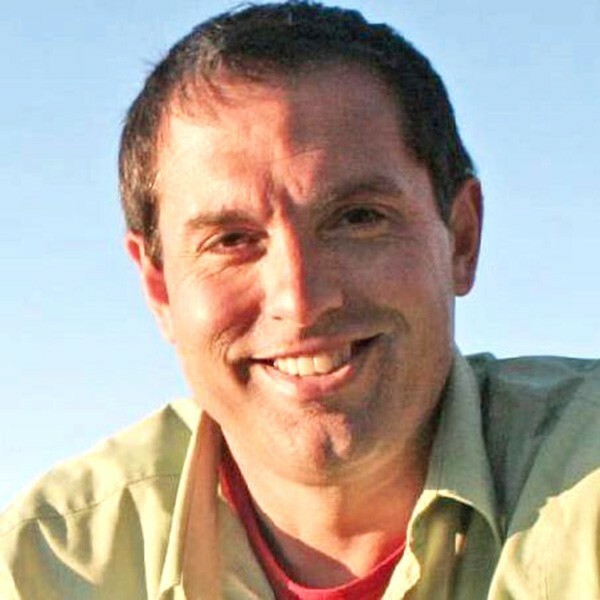 He did not win his initial House bid, so he came back the next time they had a cycle of elections in Colorado [in 2014] and ran for Congress and did win. When did the Twitter posts start? I started getting some when he ran for that initial seat, but for the most part they were somewhat benign because he didn't hold any office. There was no one with a specific axe to grind for someone who was merely a candidate. There were some things but it wasn't anything that was as divisive as I'd say they are now. From what I can tell, I don't even think that he's any sort of a major player — he's not a Paul Ryan or anything of that nature. But I simply think that's just because of the divisive nature of politics, particularly if you live in that part of the country. Initially they were benign things like, "We're inviting you to come to this campaign event," and I largely ignored those because there wasn't a whole lot to them, and my response was, "Hey, you've got the wrong guy." And it picked up when he won his seat in the House of Representatives in 2014? At that point, then people with a political axe to grind or an agenda began to reach out to him — in some cases directly to him, in other cases he would just be on a list of maybe five or six representatives that they were sending messages to about, "Oppose this bill," or "Favor this bill," those types of things. Initially, I was either ignoring it or would politely tell the person, "You've got the wrong person." At some point I decided, and I'm not exactly sure why, I began to get a little snarky with it, because some of the comments were just so loaded that they were leaving themselves open. That's when I decided that, hey, I'm just going to be this guy's alter ego and have some fun with it. How do those conversations usually go? Recently I put up something snarky and someone retweeted it and said, "I can't believe someone in the Senate would talk like that." I recall a couple of my friends responded with, "It's almost as if he's not even an elected official." Then she finally figured it out. Some people will get very angry when they find out that I'm messing with them. People say to me that I'm trolling, but I say, "You know, to be honest, they're trolling me. I have nothing to do with this bill that they're going after." I will tell you though; most of the time when someone realizes it they have a good sense of humor about it and let it go. For example, there was the whole Meals on Wheels thing recently. Someone sent a message to him, but it actually of course came to me, that said, "He doesn't believe in Meals on Wheels," to which I responded, "No, I believe meals belong on a plate." As soon as she realized it she said, "Oh I'm sorry, wrong person, but to your point I do agree with you that meals are better on plates." So most people have a pretty good sense of humor about it. I had one situation with Bette Midler. Everybody knows what Bette's politics are and, I can't recall, there was something that he was supporting that would be considered conservative politics. Bette Midler being ideologically opposite of that, went after him on Twitter for it. I had some snarky comments about it, she's got a lot of followers, they jumped in on it, this thing went on for three days and she was involved in it the whole time. It went on with her for three days and then at some point either she or one of her social media handlers got it. Then she proceeded to issue a Twitter apology, "Sorry, the wrong guy, for all I can tell this is a good guy that lives in Charlotte that has nothing to do with this guy in Colorado that we can't stand," or whatever. How do people not make that connection over three days? Politician Ken Buck of Colorado. I at some point asked myself — and I ask myself this a lot — I find it amusing that people on either sides of the fence will go after a politician that you don't even know what they look like in an avatar. In my avatar, I've got dark brown hair, he's got a head full of white hair. Anyone who would spend a second looking at the avatar would go, "Well, wait a minute this doesn't add up." Do you think it's just indicative of the larger political picture in this country, where people don't stop to think before screaming at whomever is closest? Social media tends to be a bit of a magnifying glass. I think the extremes of the left or the right get magnified through social media. You eluded to the fact that people really aren't stopping to think. Occasionally, the response I give to someone who has the wrong person is so over the top that if they would just slow down or read it they'd go, "This doesn't even make sense for a politician to say." They would immediately go, "Oh, I've got the wrong person." And again, that usually happens with most people. But every once in a while, just like that whole three-day thing with Bette Midler and her people, I kept trying to make it as outlandish as possible, kind of just trying to put an end to it. There's just no way that you're really believing that a politician is saying these things. But they couldn't get out of their own head, they couldn't get out of their own perception of what they assumed someone from the other side might be like, to the point where they couldn't even stop and think about it. In the truest sense of the word it's been a bit bemusing to me, to see either side. It sounds like this whole experience hasn't exactly inspired you to run for political office anytime soon. The funny thing is that somebody told me the other day — one of the people I was toying around with a little bit — wrote back to me, "Well, you should run for office, I'd vote for ya." To which my first thought was, "Well what does one have to do with the other?" Their point was, "Well obviously it's because you really don't seem to care, and you should know." Well, now you're looking for an anti-politician. But the short answer to your question is no, not really. If I were to be very serious about it and look at it, on both sides of the spectrum this guy is getting all this hate mail, he can't even do anything right. The vast majority of it doesn't appear to be things he can control, he's just one of a lot of senators. The people are now using social media platforms the way 20 years ago you picked up the phone and called his office. They used to never hear it because it was left on a voicemail and probably was never even heard by a staffer, and now they're on these social media platforms all day at any time. In some respects it gives me a new sense of appreciation of how difficult it must be to be for anyone in an elected office right now, because you can't do anything that pleases the majority of people. This guy can't seem to win for losing based on the tweets I've seen.